Senators and chairpeople gathered for SGA’s weekly meeting last night, Jan. 28. There were discussions of upcoming events (see the end of this article for dates) and plans for Homecoming, but the largest discussions surrounded the proposed resolution to change registration times and allowing Lime scooters on campus. The resolution also points out that support staff are not available late at night during this time, unable to help with complications like student holds or website crashes. The main concern of changing registration to 8 a.m. would be the conflict of class and work schedules. The resolution is currently tabled and has been sent to the Academic Affairs Committee for review. Another topic up for debate is the use of electric scooters on campus. Some believed the allowance would be a cause for safety concern while others believe it to be viable transportation to and from campus to nearby areas like Momentum Village. What are your thoughts? 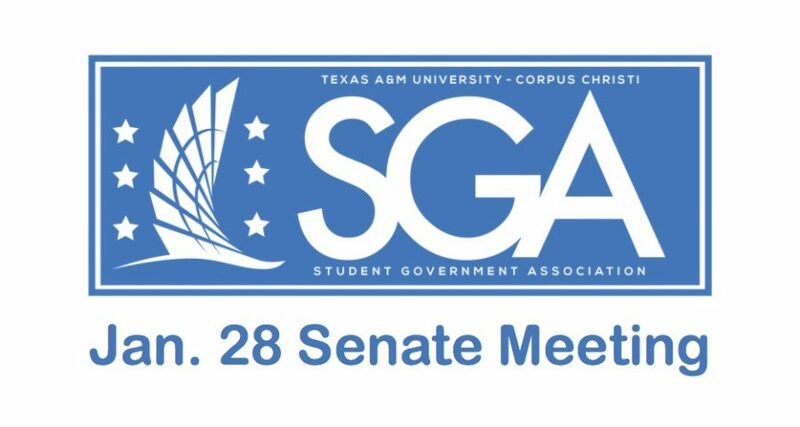 Find your Senator and let them know from SGA’s website, http://www.sga.tamucc.edu. Want to become more involved on campus? Continue reading for upcoming SGA events. Go Islanders!